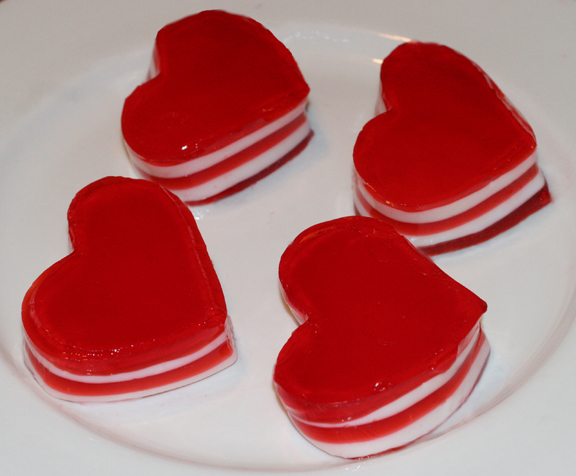 Here’s an idea you can let your kids try if you have a lazy day at home: layered jello hearts from Family Fun. You’ll need several hours to complete all the layers, but you only need to spend a few minutes about every half hour to pour the layers and let them set. My kids enjoyed pouring each highest layer of liquid over a spatula (good for coordination — see photo below) so that it evenly covered the layer underneath, and they thought it was pretty cool to see the jello dissolve in hot water, then go from a liquid to a firmer state in the fridge. The girls ate one bowl each (of the many scraps left over from around the cut-out hearts) and the rest we gave away to grandparents. Still, it was a learning experience for my daughters, it looked pretty, and the ingredients were nice and cheap. If I were to do it again, I would just cut them into cubes like below (we used to call these “Knox Blox” when I was little) which turned out way better than the hearts, were much easier to cut, and would not leave “scraps” behind like the hearts did. I might also keep these in mind for a St. Patrick’s Day party using green (lime) jello instead of red. If your family happens to loves jello, here are some other fun things to do with it, including frozen jello pops, a jello aquarium, jello cones and jello rainbow cake. 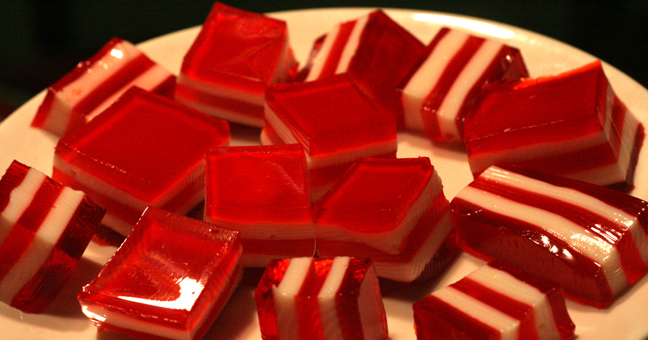 And here is a really festive idea which would be great with heart-shaped molds as well: cherry jello jigglers from Living Locurto. Another idea shows you how to do something cool (“Crazy Jello” from Reading Confetti) with your jello waste (or scraps as I call them). And if you feel like going all out with jello colors, try these rainbow jello parfaits from Glorious Treats! 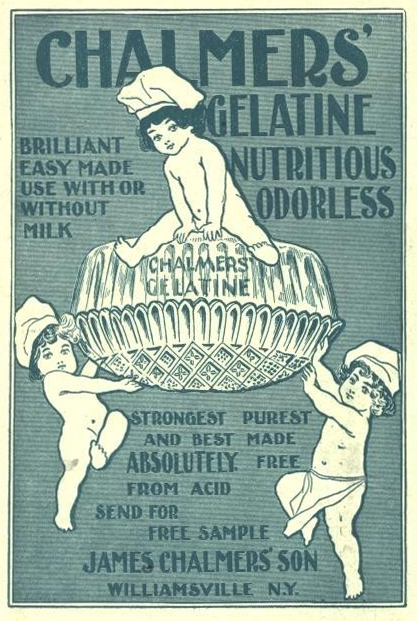 Do your kids enjoy jello? Or not really? 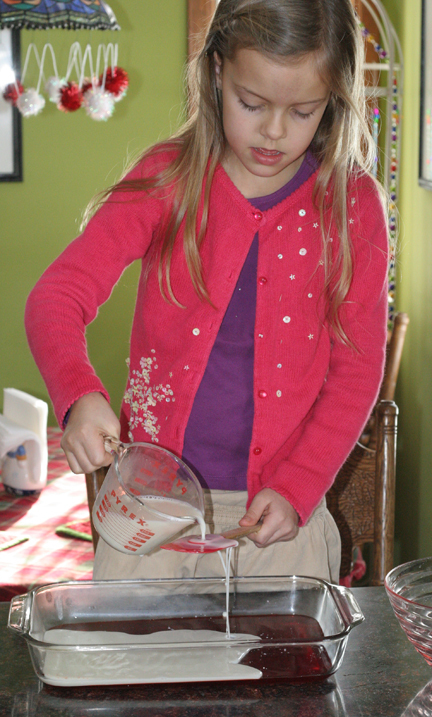 Please comment below if you have any other experimental recipes for kids using the wiggly stuff. Thanks! This entry was posted in fun for kids, g-free recipes, kids in the kitchen and tagged expiriment, fun, gluten free kids, jello, parties by kachalmers2. Bookmark the permalink.